FINTAN O'TOOLE of The Irish Times, City of Thorns author Ben Rawlence, and former Galway West TD, Máire Geoghegan-Quinn, are among the speakers for a new 'out of season' Galway International Arts Festival event. The GIAF's First Thoughts public lectures and speaking events have proven a very popular strand of the festival in recent years. Reflecting that, GIAF will now host a 'Winter First Thought Talks' programme in NUI Galway. 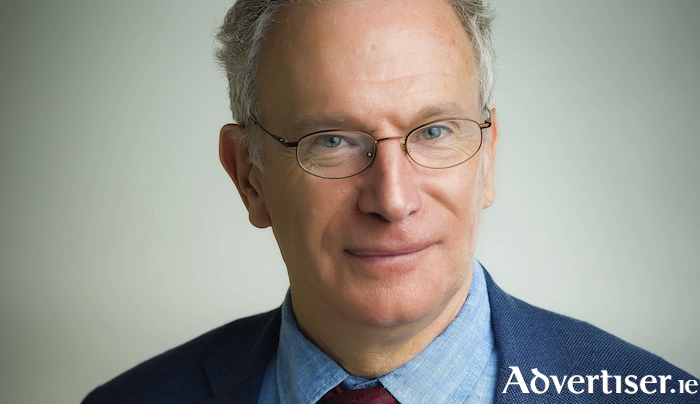 The talks begin on Friday November 30 at 8pm, with Fintan O’Toole, discussing his new book, Heroic Failure: Brexit and the Politics of Pain, a ruthless dissection of the psychology and politics of Brexit and the English nationalism and jingoism which underpins it. The remaining talks take place on Saturday December 1, starting at 11.30am with author and human rights activist Ben Rawlence, speaking about the four years he spent living and working in Dadaab, Kenya, the world’s largest refugee camp, home to about 350,000 people. Alice Leahy, founder of Trust (now the Alice Leahy Trust ), is one of Ireland’s most experienced advocates for, and a provider of services to, homeless people. Her talk, entitled Our Long-Running Homeless Crisis, is at 2.30pm, and she will be joined by COPE Galway's Donna O’Neill. A Home for Women in Government (4.30pm ) is the title of a discussion between political correspondent for RTÉ News, Martina Fitzgerald; former Fianna Fáil politician Máire Geoghegan Quinn; Labour Party TD Jan O'Sullivan; and broadcaster Marian Richardson.